Mt. 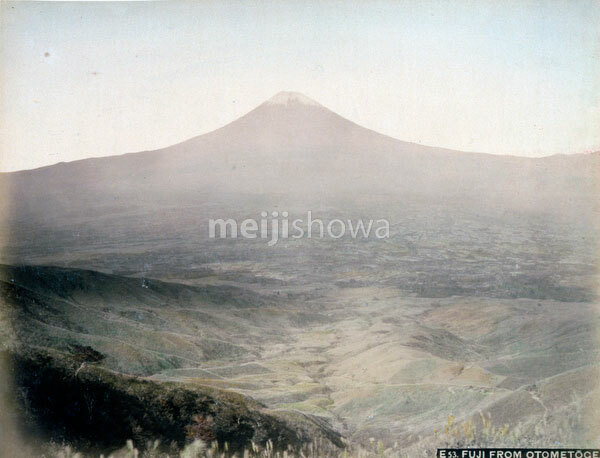 Fuji as seen from Otometoge Pass (乙女峠). The pass was located on the border of Gotemba in Shizuoka Prefecture and Hakone in Kanagawa Prefecture. At a height of 1005 meters above sea level, it offered a majestic view on Mount Fuji. During the Edo Period (1604-1868) the route was strictly regulated.